It's only 816 characters. We strongly recommend writing at least 1.000 characters. Use content that makes your app unique (features description, characteristics, how to use your app, ...). Your description needs to convince people to download your app. Also, be sure to add important and relevant keywords in your description to improve your iTunes app page and optimize your SEO. Your app's last version was released on October 20, 2016. It is important to regularly update your app. Best practices recommend to update your app every 4 to 6 weeks. This means fixing reported bugs, improving existing features, launching new features etc. Keep an eye on users' feedback. The next great features may already be asked by many users. 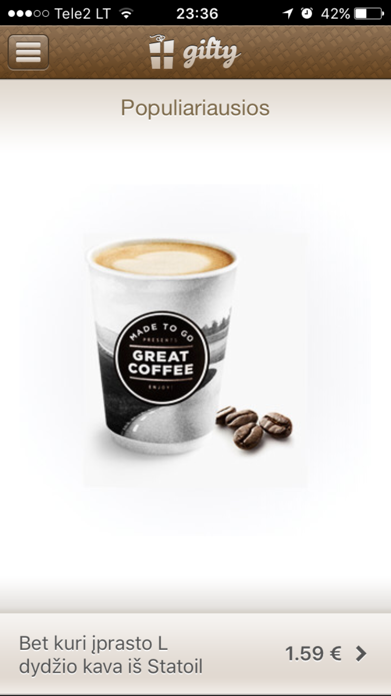 Surprise your friend with cup of coffee, ice cream, cinema ticket, cocktail and many more products from best brands in the market. 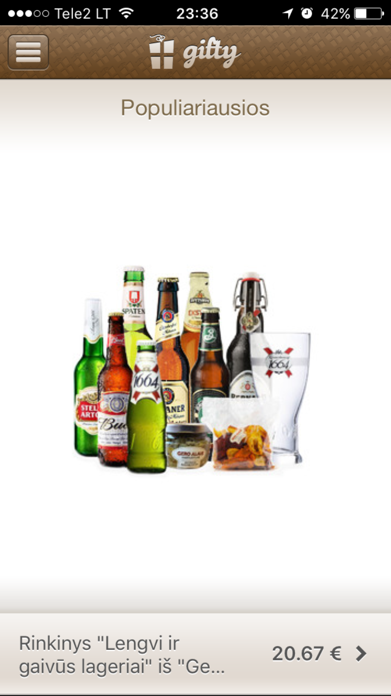 There are more than 320 locations to pick the gift across Lithuania, Latvia and Russia from brands like Vero Café, Cili, Forum Cinemas, Coffee Inn, Il Patio, Papa John’s Pizza, Formula Kino, The Body Shop and many more. 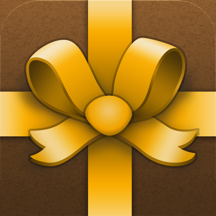 Gifty app is perfect to send a small present instantly from you phone on any occasion – whether it’s birthday, new job or simply a nice day: open Gifty, browse gifts, select recipient, type in your wishes, choose desired type of payment and Gifty will deliver your gift in seconds. 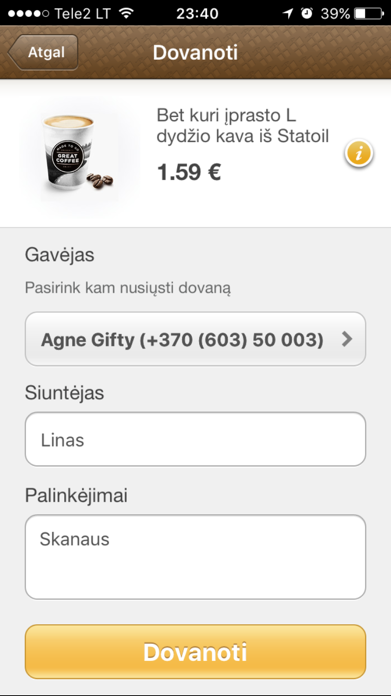 Gifts are sent as SMS of e-mail with unique code for redemption at merchants place. Gifts in the Gifty are priced the same as in the merchant venues. SMS sending is free of charge.